Hail the Queen of Mathematics! In today's world what Friedrich Gauss called the queen of mathematics plays a crucial role in providing internet security. 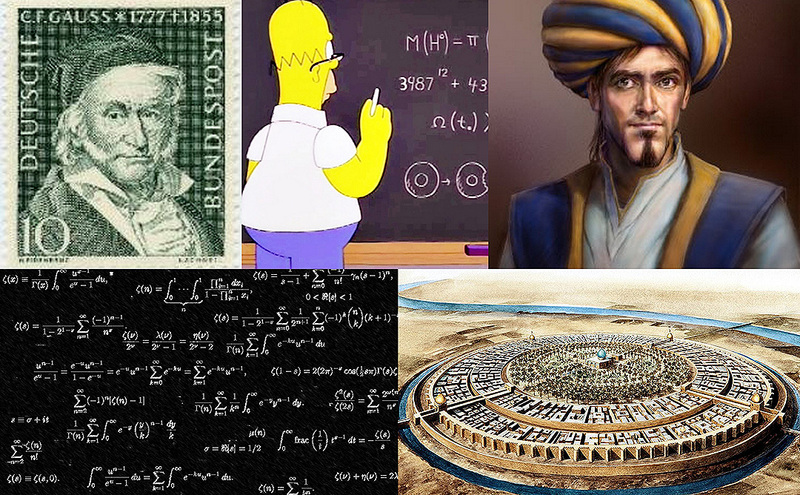 Here we look at some of the Muslims who worked on number theory. What is special about these numbers: 6, 28, 496 and 8128? What is the nature of the relationship between the following pairs of "amicable," numbers, as they are rather exotically denoted: 220 and 284, 17296 and 18416, 9 363 584 and 9 437 056? Why are the numbers 2, 3, 5, 7 drawn from a special infinite series referred to as the "atoms of arithmetic?" 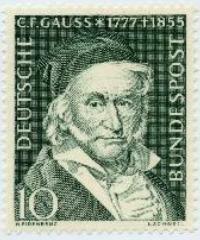 These numbers, and many other kinds besides, are the subject of what Carl Friedrich Gauss (1777 – 1855) – one of the greatest Mathematicians to have ever lived – liked to call the Queen of Mathematics. An enviable position, particularly considering that many see Mathematics as the Queen of the Sciences. In specialist circles, this field is known by the more prosaic title of Number Theory. As with so many fields of knowledge, the Greeks were likely the first people to study the properties and relationships of numbers in a systematic and rigorous manner. The first group of numbers above – 6, 28 and so on – are called perfect numbers­ and were studied by Pythagoras, especially for their supposed mystical qualities, and none other than the father of geometry, Euclid. Perfect numbers are defined as those numbers that are equal to the sum of their proper divisors . For instance, the proper divisors of 6 are 1, 2 and 3, which sum to 6; and we also observe, 28 = 1 + 2 + 4 + 7 + 14. 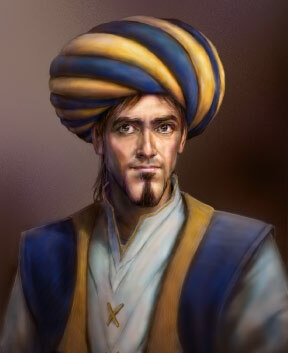 Al-Hasan ibn al-Haytham (d. 1040, Cairo) is most noted for his contributions in the field of optics. 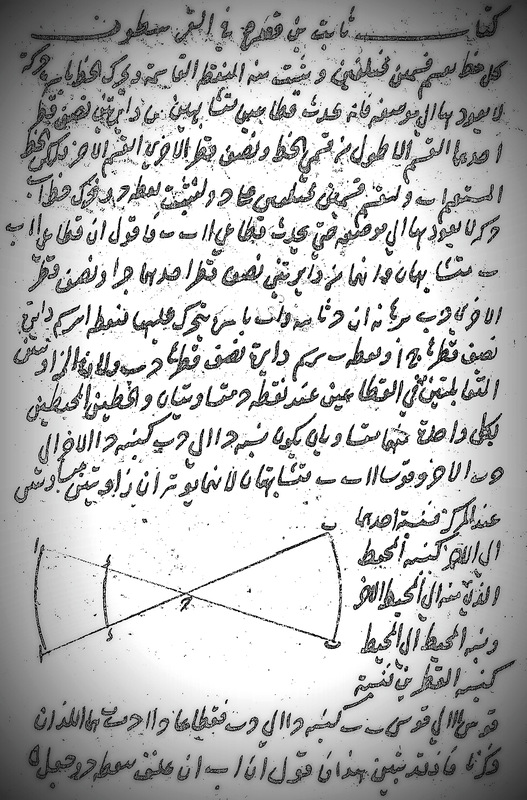 As was the case for many of the scholars that Islamic civilization has bequeathed, ibn al-Haytham's intellectual curiosity motivated him to conduct explorations in a huge array of subjects, including number theory. Specifically, he attempted to characterize the set of perfect numbers, which he sets out in his unpublished work Analysis and Synthesis. Euclid had already proved in the Elements the elegant result that if 2k – 1 is prime , then 2k–1 . (2k – 1 ) is a perfect number , for any integer k greater than 1. As an application of this theorem, take k = 3. Then, 23 – 1 = 7 is a prime number and 22. (23 – 1) = 28 is the second perfect number. 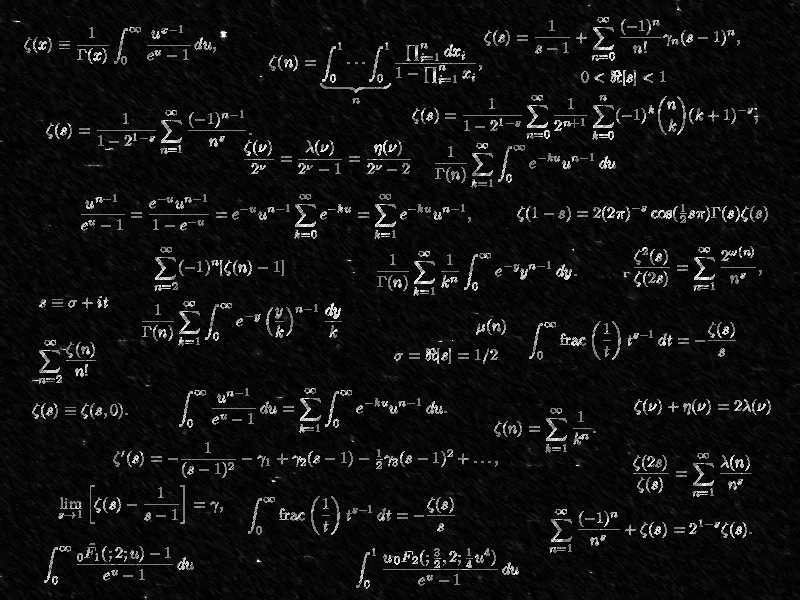 The interesting question is whether all the perfect numbers can be generated by Euclid's formula. This question is not as straightforward as it sounds; in actual fact, it still remains an open question amongst mathematicians! It is quite typical of many mathematical theorems that they go in one direction and not the other, and Euclid's theorem on perfect numbers is an example of that. Now, Ibn al-Haytham was interested in demonstrating the converse result. He wasn't entirely successful – we can forgive him this shortfall given that the problem has eluded some of the best mathematicians. However, there are suggestions in Analysis and Synthesis ­that he was the first to attempt the proof of the partial result that every even perfect number is of the form 2k–1 . (2k – 1 ) where 2k – 1 is prime. The world had to wait seven centuries before Leonhard Euler provided a complete, correct and economical proof of the converse theorem. We now steer our journey back in time and away from Cairo, where Ibn al-Haytham carried out his most seminal work, to the previous century and peer into the celebrated House of Wisdom in Baghdad during the time of the Abbasid Caliph, al-Mu'tadid. 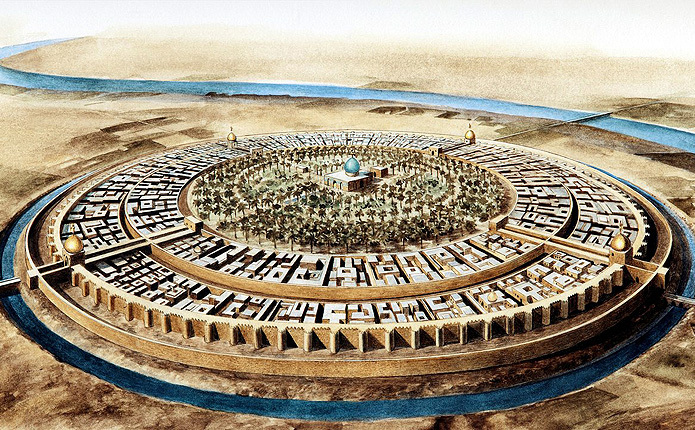 On his travels to Harran (now in Turkey), Mohammed bin Musa bin Shakir, one of the Banu Musa brothers, who already had gained a reputation for sponsoring and personally undertaking remarkable studies in the sciences, spotted the linguistic talents and scholarly potential of Thabit bin Qurra (d. 901, Baghdad). Like his Greek predecessors, Thabit was fascinated by the properties of numbers and, in particular, brought to bear his intellectual prowess on characterizing certain pairs of numbers which shared a special relationship. He dedicated a whole treatise, On the determination of amicable numbers by an easy method, to the subject. This relationship was solemnized by describing these pairs as amicable numbers. Two numbers, say m and n, are amicable, if the sum of the proper divisors of one is equal to the other number. That is, if we denote the sum of the proper divisors of n as S(n), then m and n are amicable if S(n) = m and conversely, S(m) = n.
for n > 1, let pn = 3.2n – 1 and qn = 9.22n-1 – 1. If pn-1, pnand qnare prime numbers then a = 2n pn-1 pn and b = 2n qnare amicable numbers. According to Hogendijk, Thabit was probably the first to discover the pair of amicable numbers, 17296 and 18416. The study of amicable numbers was transferred in the 13th and 14th centuries from the Muslims to the court of Robert of Anjou in Naples via manuscripts in Hebrew written by Samuel bin Yehuda. Muslim interest in perfect and amicable numbers continued with Al-Farisi (d. 1320, Iran) who provided a new proof of Thabit's theorem, in which he introduced important new ideas related to factorization and combinatorics. Crucially, Al-Farisi bases his attack on one of most important results in number theory – the Fundamental Theorem of Arithmetic. This states that all numbers can be uniquely factorized into powers of prime numbers. The result inspires the analogy of prime numbers as the "atoms" or building blocks of all numbers. According to Rashed, Al-Farisi notes and attempts to prove the theorem. The amicable pair 17296 and 18416, which are known as Euler's amicable pair, were actually obtained several centuries earlier by Al-Farisi. He also conducted investigations into integer solutions of the equation x4 + y4 = z4, observing correctly that no such solutions exist. This equation is a special case of the legendary class of equations that are the subject of Fermat's Last Theorem. Much later, in the 17th century, Mohammed Baqir Yazdi computes the amicable pair 9 363 584 and 9 437 056, still many years before Euler's work. Mathematics is concerned with abstract, transcendent quantities that enjoy, as many mathematicians would see, an independent perfect existence of their own, immutable and pure. It is therefore not surprising that Muslim scholars were drawn and enraptured by the mathematics that they inherited and subsequently developed from the civilizations they encountered – the Greek, the Indian and the Chinese. Islam generally discourages an obsession with the physical form. Rather than acting as a constraint, this unleashed the fully creative faculty and imagination of the great scholars and scientists. Mathematics provided fertile ground for their intellectual pursuits, and as they navigated the mathematical tapestry, they experienced both humility and exhilaration at the prospect that somehow they were in contact with the Divine Kingdom. As it turns out, number theory does actually serve very useful purposes, especially today, when security is of paramount concern. Specifically, prime numbers – very large ones consisting of over a hundred digits – are at the root of the encryption system that ensures our most valued personal information is splattered across the Internet in a secure and reliable manner. This encryption scheme is called RSA after its three inventors – Ron Rivest, Adi Shamir and Leonard Adleman. The distribution of the prime numbers is the subject of the Riemann Hypothesis, which is viewed as probably the most important unsolved problem in mathematics. 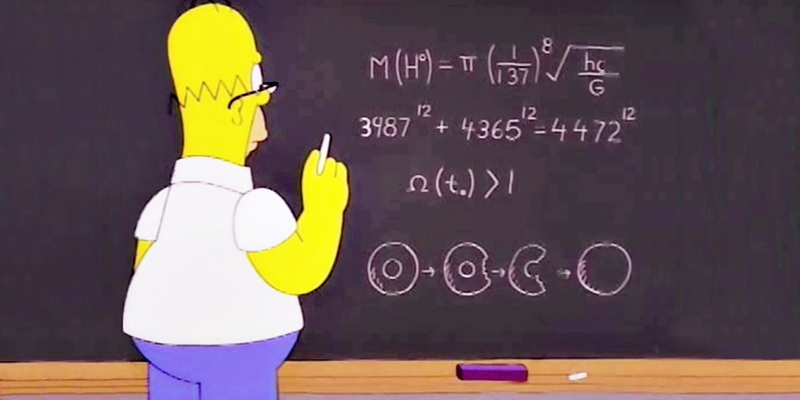 If the relationship between encryption and the primes does not convince the utilitarians amongst us of the importance of esoteric branches of mathematics, perhaps the $1 million on offer as a prize by the Clay Institute for proving the Riemann Hypothesis will pique our interest. A divisor, a, of the number n divides n exactly to leave no remainder. Of course, trivially, n always exactly divides n. The set of proper divisors do not include this trivial case. A number p is prime if and only if it possesses exactly two divisors: 1 and itself, p.
 Note that a number n raised to the power of a positive integer k – written n k – is computed by multiplying n by itself k times. Recall that n! = n x (n – 1) x … 2 x 1. Using this notation, a number, n, is perfect if S(n) = n. One could say that amicability is just short of perfection. Often the proof of complex theorems are very involved and are normally preceded by intermediate results, called lemmas, which also must be proved. Fermat's Last Theorem states that there are no integer solutions to the equation xn + yn = zn for all n > 2. The theorem was stated by the French mathematician Pierre de Fermat who left us with the tantalizing suggestion (in the margin) that he knew a delightful proof but did not have sufficient room in which to write it down. It would be 350 years later in 1994 before Andrew Wiles produced a correct and complete proof.